Yummy dog-friendly easter treats await our adorable pooches this weekend at Canberra’s Easter Egg Hunt for Dogs! File photo. Travel back in time this weekend with the Canberra and Region Heritage Festival. The theme of this year’s festival is Space, to mark 50 years since the moon landing. Highlights this weekend include the Jane Austin Festival at Albert Hall, a mystery tour at Old Parliament House to learn about the debates and discussions about the space race raging around the corridors of power during the 1960s, and an opportunity to learn about taking photos of the milky way with photographer Ari Rex. Running alongside the Heritage Festival is the Canberra Modern festival which focuses on Canberra’s fine examples of mid-century architecture. This weekend there will be a Modernist Dinner at University House on Saturday night, followed by a Modernist Market on Sunday, and Tim Ross will be talking about Australia invisible design icons this Sunday at the National Gallery. The Spiegeltent continues this weekend with a great show on Friday and Saturday—Djuki Mala—featuring dancers from North East Arnhem Land and Canberra Wine Week winds up with more opportunities to enjoy local wines and produce. The Brumbies are playing at home this Saturday night and Easter is coming early for your four-legged friend with an Easter Egg hunt for dogs at the Yarralumla Dog Park on Saturday. Four Winds Vineyard is combining watercolour lessons with wine tasting on Friday and Saturday evenings 6 – 9 pm. Tickets are $60, book here. Gundog Estate is hosting live jazz and wine tastings at its Cork Street Cellar Door, Gundaroo this Saturday 12 – 3 pm featuring Leisa Keen and John Mackey. Lerida Estate is hosting an End of Harvest Long Lunch this Saturday 12 – 3 pm, tickets are $60 + bf, book here. Shaw Wines is hosting a Le Nez du Vin experience this Sunday 2 – 5 pm to help you build an olfactory memory and learn about the many aromas and faults found in wine. The afternoon will finish with a cheese plate and a glass of Shaw wine in the wine lounge. Tickets are $65, book here. Travel back in time to the Regency era with the Jane Austin Festival at the Albert Hall this Friday, Saturday and Sunday 9 am – 11 pm. There will be dance and sewing workshops, period costumes, music, theatre and, of course, balls. Check out the program here. Tickets are $150 for one day/night or $295 for all three days, book here. Travel back in time to the 1960s at Old Parliament House. Take the Mystery Tour—One Small Step to learn about the debates and discussions about space travel that filled the corridors of power at that time. Tickets are $8, book here. Check out the full program for the Heritage Festival here. A tour of Canberra’s Iconic Bus Stops with Trevor Dickinson this Saturday 10 am – 12 pm. Join artist Trevor Dickinson and mystery guests on a bus tour of six bus stops. Start and finish at University House, ANU. Tickets are $50+bf, book here. An evening of mid-century-inspired food and entertainment at the Modernist Dinner to be held in the Great Hall of University House this Saturday 6 – 10 pm. There will be moulded forms of Jell-O and mousse, combined with colourful and interesting pairings of produce. The evening will be hosted by Annalisa Cappuro, with artist Trevor Dickinson giving the keynote address and music provided by Canberra’s big band In full Swing. Tickets are $120+bf, book here. Modernist Market this Sunday 10 am – 3 pm at University House, for all things mid-century—stalls of clothing, jewellery, home-wares, furniture, books and records as well as food and entertainment. Comedian and self-proclaimed design nerd Tim Ross will give his talk Design Nation Live at the National Gallery of Australia this Sunday 2 – 3 pm in the James Fairfax Theatre. Tim will tell stories about what he calls the “invisible icons” of Australian design. Tickets are $40, book here. Djuki Mala—6:30 pm Friday and 2 & 6 pm Saturday—from North East Arnhem Land, Djuki Mala is an Indigenous dance/theatre company who fuse different dance styles to form their own unique style. This self-titled show is their second production and has been receiving rave reviews. Tickets are $45, book here. Osher Günsberg: Back, After the Break – Live!—Sunday 8:30 pm—media personality Osher Günsberg presents a live show packed with stories from his memoir Back, After the Break, published last year. Osher shares his stories of coping with mental illness and alcohol addiction in the hope that it helps others living with mental illness. Tickets are $44, book here. These school holidays the Playful Endeavour loose-parts playground will be setting up camp in Glebe Park. The loose-parts will be found and manufactured materials—such as hoops, poles, crates, ropes, sheets and tyres—to encourage creative play. Either join in and play with your kids or grab a coffee and a good book and enjoy the autumn sunshine while the kids are happily engaged. 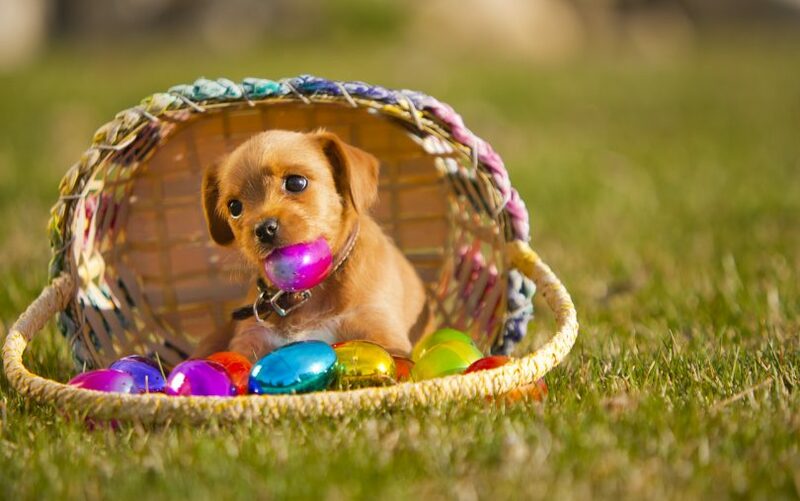 Mad Paws, a pet sitting website, is hosting an Easter Egg Hunt for Dogs this Saturday. There will be dog-friendly Easter treats, games and free advice from dog trainers. This event is happening simultaneously with events in Sydney, Darwin, Melbourne and Brisbane! The Brumbies are playing the Lions from Johannesburg this Saturday night. The Lions have been runners up in the Super Rugby finals for the last two years and are super keen to go one better this year, but not without a fight from the Brumbies. Tickets from $12.25, book here. Cheese for Change is an initiative by White Ribbon Australia to raise awareness of violence against women and funds for prevention programs. It involves enjoying cheese and wine with friends! This Sunday, dress in white, head to Glebe Park and enjoy gourmet sweet and savoury grazing platters overflowing with cheese and fruit while listening to local acoustic artists. Tickets are $50 for adults, $10 for kids 10–17 years, $112 for a family (2 adults, 2 kids) and kids under 10 are free. Book here.